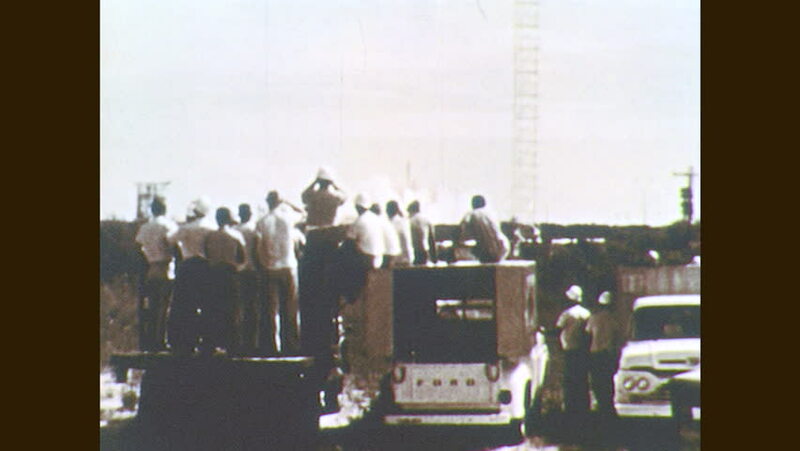 1960s: Men watch rocket launch. Rocket flies into sky. hd00:43CIRCA 1963- John F Kennedy is transported by convertible to watch a demonstration at White Sands Missile Range. hd00:251970s: Man with red cross armband speaks to class of hospital workers, such as maintenance. hd00:16Mumbai India January 18 2015 Mumbai Marathon participants on Bandra Worli sea link also known as Rajiv Gandhi Sea link shot on January 18 2015 early morning.